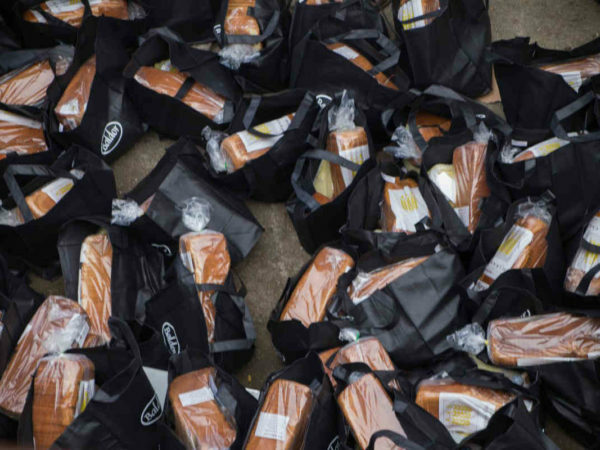 HUNTS POINT, N.Y. — Baldor Specialty Foods, the premier ingredient source for top chefs in the Northeast and Mid-Atlantic, and The Bronx Brewery, a South Bronx-based, independently-owned, craft brewery, announced their first B-Tracks series collaboration of the year following the partnership’s success in 2018. 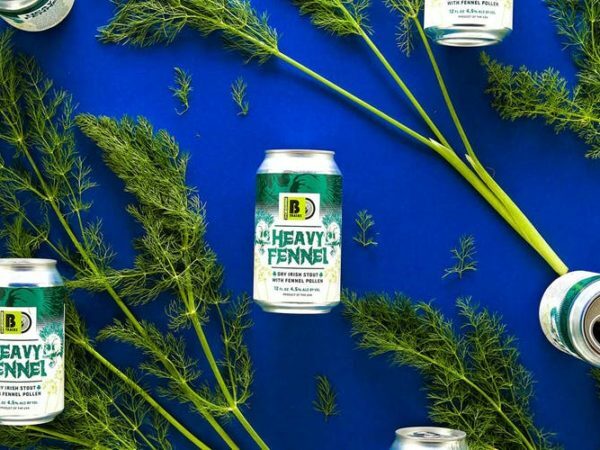 The B-Tracks series, which began in early 2018, is a run of limited-edition, experimental beers crafted from exotic, in-season ingredients curated by foragers at Baldor Specialty Foods. The partnership’s B-Tracks series, appropriately named after the flipside of a hit vinyl record, challenges the status quo, releasing underground small-batch beers. 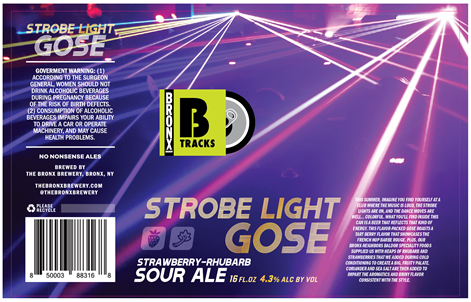 The latest, soon-to-be released beer, a strawberry rhubarb gose, taps into the music component of the B-Tracks, called Strobe Light Gose, with artwork bringing a flashing strobe light to life on the can. The Strobe Light Gose – a beautifully red-colored and flavor-packed gose, boasts a tart berry flavor, showcasing the French hop, Barbe Rouge. Additionally, there are heaping helpings of rhubarb and strawberries added during cold conditioning to create a big, fruity pallet. Coriander and sea salt are added to the brew to create the briny and aromatic flavor consistent with the style. The limited-edition beer will be available in The Bronx Brewery taproom on draft and in cans beginning on April 6th. In addition, for the first time ever, a B-Tracks beer will be available outside of the brewery, with Strobe Light Gose on draft at Clinton Hall locations. Given their limited quantities, the B-Tracks series of beers will be available at The Bronx Brewery’s taproom and Clinton Hall locations for a short time. The taproom is located at 856 East 136th Street, Bronx, NY 10454 and is open 7-days a week. Baldor Specialty Foods is one of the largest importers and distributors of fresh produce and specialty foods in Northeast and Mid-Atlantic regions. Beginning as Balducci’s fruit stand in Greenwich Village in 1946, Baldor maintains its original promise – curate and deliver the best and freshest foods in the world. Baldor seeks to provide great specialty foods and logistics that give their customers an edge. To learn more, go to www.baldorfood.com. Founded in 2011, Bronx Brewery is a craft brewery based in New York City’s South Bronx neighborhood. The Bronx Brewery prides themselves on producing what they call “no- nonsense ales” – approachable, well-balanced, true-to-style beers with absolutely no gimmicks. Visit www.thebronxbrewery.com to learn more.